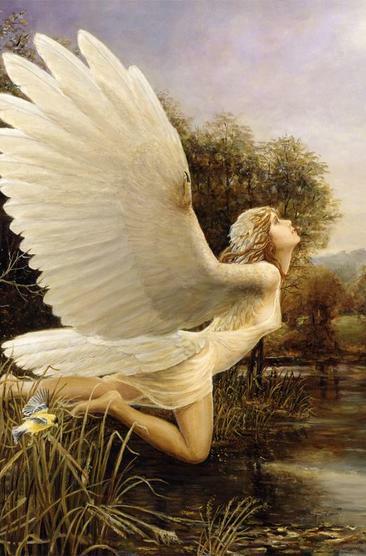 ​Angel Readings provide divine guidance and healing in any area of your life. This divine information and energy comes directly from the angels, who are non-denominational, nonjudgmental beings of light and unconditional love, and have only our best interest in mind. Angels have appeared to and helped persons of all races and creeds throughout history. Every person can receive any type of assistance from their own set of guardian angels as well as the archangels, who are accessible to everyone. Working with the angels ensures that the information and energy received is trustworthy, of the light, and of the purist vibration and intention. Since there are many sources of psychic information available, working with only the purest sources is critical for the well-being of the client and Judy ,an Angel TherapistsTM. Commonly addressed issues involve relationships, health, career, emotional or spiritual matters, or just everyday challenges. If it is not clear to you which issues need improvement, Judy can speak with the angels to identify and address the areas of your life that needs healing or attention, so that you can heal and move forward. One reason why working with angels is so effective is that angels have access to much more information and healing energy than humans do; angels transcend time and space, and can see our past and future, as well as those involved in our lives. Judy can provide you with the names of your own angels, cord cutting (see Cord Cutting for more information), chakra clearing, meditations and healings; she can also receive messages from your deceased loved ones. When you open yourselves up to hearing the messages from the angels, every area of your life can transform to become more peaceful. The angels are here to help and heal us, engender peace and joy in our lives, and give us direction on fulfilling our life purpose. Private Readings are available in person , via email , phone and Skype. A Mediumship Reading is contacting your deceased loved ones who have made their transition. This is an opportunity to communicate with these loved ones who are very much still around us . When we get these confirmations that their spirit is indeed around us and they are okay , that's when the real healing takes place . Its so comforting to know that our loved ones haven't left us , they have merely entered the realm of the invisible where they continue to learn and grow and live. Negative etheric cords are energetic attachments that are frequently and commonly formed into us by other people; they can also attach us to addictive material objects like food, drugs and alcohol. Etheric cords can actually cause physical and emotional symptoms, and hinder a person’s well-being and development. It is important that etheric cords be severed to allow persons to move forward in their lives, be free from involvements that are not in their best interest, and be the highest expression of themselves. Judith can check for and sever etheric cords during angel readings. Past Life Regression is a manner in which through hypnosis we are able to access memories of past lives. The body is merely a vessel and our spirit is wiser than any computer . It records all of the lives, acquaintances, and lessons of our present life as well as lives we once lived. Through hypnosis and a guided journey Past Life Regression is a manner in which through hypnosis we are able to access memories of past lives. The body is merely a vessel and our spirit is wiser than any computer . It records all of the lives, acquaintances, and lessons of our present life as well as lives we once lived. Through hypnosis and a guided journey , the client is able to access this information, such as a fear of water , anxiety and traumas and then solving those particular concerns by bringing to the surface answers that may lie deep within the subconscious. As a certified Past Life Regression Therapist, certified by Doreen Virtue, PhD, I will guide you on this journey successfully and help you to clear up issues that have held you back from your life's purpose and help heal issues, as well as help you understand why certain centuries seemed so important to you . Many of my clients were obsessed with a certain time in history , not knowing why and found after Past Life Regression ,they were either a prisoner or an abused wife during that time . I have found if I mention a particular time of history and it seems to create a reaction in you , that is probably part of your history . I think everybody reincarnates because we have many lessons to learn, lessons about love, compassion, charity, nonviolence, inner peace, patience, etc. It would be hard to learn them all in only one lifetime . Also, some people come back voluntarily to help others. So Past Life is a most wonderful way to discover more about YOU! Each session lasts about 1 hour , during that time you may go through 2-3 past lives , depending on each particular person and situation . You will be lying down in a relaxed state in a very safe environment with the intention of going back and discovering all that you need to know for your healing and moving forward. Many times there are energies that get locked into homes, brought in by others or a spirit that has never left. This energy may bring unhappiness and stress within the home that has nothing to do with you. I find when you invite the Angels to stay permanently, your life begins to open up in ways that never seemed possible before.